If you are new to this network, take our word for it get involved - its worth it. Planning a wedding in Fredericksburg Virginia? - Whether in the beginning stages of planning or looking for the perfect finishing touches, we can help you find just what you need. From wedding music and venues to guest accommodations and services, our links will help you find the information you need to plan your wedding to the smallest detail. 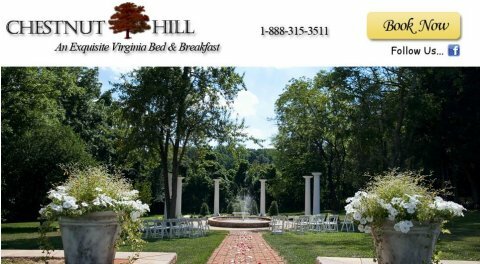 For those seeking an outstanding location for a traditional, elegant Virginia weddings for up to 150 guests near Fredericksburg VA, Chestnut Hill Bed & Breakfast Inn is ideal. We specialize in offering outdoor weddings in Virginia with a gracious style not readily found today, allowing friends and family to gather in a serene, country setting to celebrate your wedding day. Whether you desire a romantic elopement or a grand affair, we are at your service and equipped to assist you with every detail. Once you've had the opportunity to review the wedding packages and information below, let us show you how we can help make your elegant country wedding a unique and memorable day filled with a beautiful setting, fine dining, and unparalleled customer service. Disc Jockeys specialize in Wedding Receptions, Company events, Holiday Parties, Class Reunions, Private and Social Dances, and School events. 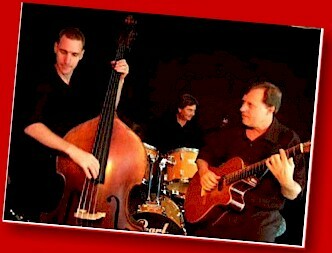 Have the BEST of both Worlds use Virginia Musicians at your events as well. My bands, which are composed of professional musicians, have performed extensively at five star resorts, country clubs, hotels, restaurants and homes in the Virginia, Washington DC, Maryland and North Carolina areas over the last 30 years for weddings and receptions, concerts, dances, corporate events and dinners. We've entertained audiences of all ages and backgrounds that have included numerous dignitaries and celebrities. We have a diverse repertoire that allows us to provide appropriate entertainment for virtually any event. As an added feature, to enhance the ambiance of the event, we can, at your option, provide DJ type music of your choice, during the band breaks. My solo classical guitar style is reminiscent of guitarists; Charlie Byrd, Andre Segovia, Chet Atkins, Earl Klugh and Emily Remler who greatly influenced me. I also play electric and acoustic steel string guitar as well. REE Classifieds for Fredericksburg Business. Our free classified ads were designed to encourage on line business opportunities in Virginia. You can use as a local forum or it to buy and sell automobiles, real estate for sale by owners, find renters and business people who understand the power of the Internet and much more. VABusinessNetworking.com is leading the way for Virginia Business to take advantage of online business networking. We are here to support many business networking groups and events. We provide powerful LOW COST web design online marketing tools that generate results for your business in Virginia and beyond. - Contact Us - Earn Monthly Recurring Income by becoming an Affiliate. Earn Monthly Recurring Income by becoming an Affiliate. Become a better Team Player! We are always looking for qualified Team Players to add to our list of GrassRoots networkers. - Grow your Business with other honest team players! If you're tired of wasting your time on Facebook and blogs that very few people notice, we would like to hear from you.